The College of Southern Nevada (CSN) is a community college in Clark County, Nevada, United States. The college has more than 2,500 teaching and non teaching staff and is the largest public higher education institution in Nevada. It is part of the Nevada System of Higher Education. 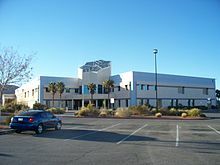 College of Southern Nevada has three main campuses in the Las Vegas Valley: the Charleston Campus, North Las Vegas Campus and Henderson Campus. There are also eight learning centers: Moapa Valley, Summerlin, Mesquite, Green Valley, Western, Sahara West, Las Vegas City Hall and Nellis Air Force Base. The current president of CSN is Dr. Federico Zaragoza, who was unanimously selected by the Nevada System of Higher Education Board of Regents. CSN provides job training in more than 70 academic programs with more than 180 degrees certificates available. The college also offers seven bachelor's degrees. The majority of students, 73.5 percent or 25,301, attend part-time and 26.5 percent or 9,108 students attend full-time. CSN's undergraduate degrees have received regional accreditation from Northwest Commission on Colleges and Universities since 1975. Adult Literacy and Language; American Heart and Healthcare Programs; Apprenticeship; Business Assessment and Consulting; Community Programs and Personal Enrichment; Construction; Education and Government; EMS; Occupational Health and Safety Programs. In fall 2014, 36.1 percent of students were Caucasian, 26.7 percent Hispanic, 10.3 percent Asian and 11.7 percent African American. Nationally the college enrolls students from 48 states in more than 3,000 classes each semester. The College of Southern Nevada Coyotes compete in the Scenic West Athletic Conference of the NJCAA's Division I. The school currently has five athletic programs—men's baseball, men's soccer, women's softball, women's volleyball, and women's soccer. Baseball's first season was in 2000, and softball began its first season in 2004. Volleyball was added in 2014. Men and Women's Soccer started in Fall of 2016 and campus-wide improvements will be coming to all three campuses (including the Henderson Campus, where Athletics will be headquartered). The Coyotes baseball team was the first intercollegiate athletics program at CSN. The Coyotes' home field, William R. Morse Stadium, is located at CSN's Henderson campus in Henderson, Nevada. On March 18, 1999, CSN hired its first baseball coach—local legend Rodger Fairless, who coached former MLB pitchers Greg Maddux and Mike Maddux at Valley High School during the 1980s, and was more well known for coaching Green Valley High School to six consecutive Nevada state baseball championships from 1993-98. But, before Fairless would even conduct his first baseball practice at CSN, he stepped down on May 4, 1999, citing health reasons. Fairless would be replaced by another local veteran coach, Tim Chambers, on July 8, 1999. The Coyotes played their first-ever game on February 1, 2000, against Scottsdale Community College, and quickly grew into a perennial contender. They joined the Scenic West Athletic Conference in 2002, quickly asserting themselves a place in the conference, becoming rivals with Dixie State College until the Trailblazers moved up to NCAA Division II in 2006. Since joining the SWAC, CSN has won six conference championships, two Region XVIII championships and two Western District championships. Today, the Coyotes' rivals are the Western Nevada Wildcats, as they are the only two junior colleges in Nevada to have intercollegiate athletics, and also fueled by their fierce battles on the diamond. On May 31, 2003, the Coyotes made history, defeating the heavily favored San Jacinto-North Gators 4-1 to win the 2003 National Junior College World Series in only their fourth year of existence. It is CSN's only national championship in any sport to date. In 2010, catcher Bryce Harper was selected first overall by the Washington Nationals in the Major League Baseball First Year Player Draft after a season in which he batted .443/.526/.987 (AVG/OBP/SLG) with 98 runs scored, 31 home runs, 98 RBIs, 20 SBs, and a 1.510 OPS, leading the team to a third-place finish at the National Junior College World Series. He was selected as an outfielder. On June 11, 2010, just one week after the Coyotes had been eliminated from the JUCO World Series, longtime head coach Tim Chambers took the head coaching job at UNLV. There would be no vacancy for long though, as CSN hired former Bishop Gorman High School baseball coach Chris Sheff on July 9, 2010, to carry on the legacy that Chambers built. Sheff would become the second baseball coach in CSN history to never coach a game. Allegations of illegal activity in the eyes of the NJCAA and parents alike came up, and on November 3, 2010, the school decided to relieve Sheff of his duties. Six days later, on November 9, 2010, CSN hired former Green Valley High School coach Nick Garritano as its head baseball coach. Garritano, who was Fairless' successor at Green Valley, won two state championships during his 12 years at the helm, producing a 315-118-1 record. He played sports at Chaparral High School and was inducted into the UNLV Hall of Fame as a former place-kicker for the football team. On May 5, 2012, the baseball clubhouse was officially named after James B. Whiteaker in a dedication ceremony that took place prior to the final baseball game of the regular season. Today, "Building D" is now known as the James B. Whiteaker Clubhouse. 2015 Coyotes Baseball was an exciting year of competition. The Coyotes sported RHP – Phil Bickford (2015-drafted to SF Giants), SS – Tyler Brown (2015 – drafted to SF Giants), and OF-Matthew Waldren, who was a 2015 NJCAA Superior Academic-All-American. Coyotes Athletic Programs pride themselves on maintaining very high individual and team academic standards. Student-athletes at the College of Southern Nevada regularly attend and accomplish 17–21 credits per semester, averaging individual GPAs as high as 3.9. Fall 2015 was the inaugural season hosting Women's Volleyball. The College of Southern Nevada now houses Men's and Women's Division I Soccer; their first season was Fall of 2016. Men's soccer is Coached by Geoffrey Hawkins, Esq., Christopher Burgess, and Julian Portugal. In their first season of competition they made their way to the 2016 NJCAA DIV. I, Men's Soccer Championship in Tyler, TX. They were defeated by #2 ranked Monroe College. Women's soccer adopted Head Coach Rob Dahl of Utah to lead them to victory. Rob is a championship collegiate-level ladies soccer coach and is planning for the ladies to head for the Finals during his first year of 2017. The ladies are mixed with local Las Vegas and Utah talents. The Coyotes softball team debuted in the spring of 2004. The Coyotes' home field is located at the Russell Road Recreation Complex, a park operated by the City of Henderson. Talks are in the works to build a softball stadium on the CSN Henderson campus, adjacent to the baseball stadium, with funding being its major obstacle. The program's first coach was Ric Grenell, who previously had coached women's soccer at CSN from 2000-02 before the sport was discontinued. After a moderate first season record of 16-30, the 2005 softball team did less well, winning only six games. Shortly after the 2006 season began, another rough start prompted Grenell to resign, and Ysidro Jimenez took over as interim head coach. Jimenez would become the permanent head coach at season's end, and remained the head coach until June 2011. Under Jimenez, CSN softball enjoyed five winning seasons from 2007–11, including a record 38 wins in the 2011 season. But, after failing to win a conference or region championship, then-assistant coach and former longtime Hawaii-Hilo softball coach Callen Perreira was announced as Jimenez's replacement, and officially took over the helm on July 1, 2011. In Spring of 2017, CSN welcomed the addition of the new Lady Coyotes Softball Complex at the Henderson Campus. Softball also welcomed Head Coach Jim Overturf and Olympian Lori Harrigan-Mack. Bryce Harper, drafted into MLB Round 1 Washington Nationals. ^ "The College of Southern Nevada - Las Vegas Sun News". Lasvegassun.com. Retrieved 2015-05-03. ^ "CSN - Campus Locations". Csn.edu. 2015-03-31. Archived from the original on 2015-04-23. Retrieved 2015-05-03. ^ "LOOKING IN ON: HIGHER EDUCATION". Archived from the original on 2007-09-30. ^ "BOARD OF REGENTS BRIEFING PAPER" (PDF). Archived from the original (PDF) on 2008-02-29. ^ "CSN Learning Centers". CSN. 14 February 2017. ^ "New CSN President Takes Helm". csn.edu. August 15, 2018. ^ "CSN Announces New President" (PDF). csn.edu. May 11, 2018. ^ "CSN - About Us". Csn.edu. 2015-03-31. Retrieved 2015-05-03. ^ "CSN Adds Bachelor's Degree in Deaf Studies for Interpreting" (PDF). www.csn.edu. August 1, 2018. ^ "CSN - Accreditation". Csn.edu. 2015-03-31. Retrieved 2015-05-03. ^ "IR-Student Profile". CSN. 2016-03-15. Retrieved 2017-10-17. ^ "Student Profiler : Fall 2007" (PDF). Csn.edu. Retrieved 2015-05-03. ^ "College of Southern Nevada Coyotes". csncoyotes.com. Retrieved 2017-10-17. ^ "Las Vegas Review-Journal". Reviewjournal.com. Retrieved 2015-05-03. ^ Steve Guiremand. "Chambers sees CCSN as a future 'powerhouse' - Las Vegas Sun News". Lasvegassun.com. Retrieved 2015-05-03. ^ "It's official: Las Vegas' Bryce Harper picked first overall by Nationals - Las Vegas Sun News". Lasvegassun.com. Retrieved 2015-05-03. ^ "New coach Tim Chambers optimistic he can turn UNLV baseball into a winner - Las Vegas Sun News". Lasvegassun.com. Retrieved 2015-05-03. ^ "Gorman's Chris Sheff named new baseball coach at CSN - Las Vegas Sun News". Lasvegassun.com. 2010-07-10. Retrieved 2015-05-03. ^ "CSN baseball coach under scrutiny | Las Vegas Review-Journal". Lvrj.com. 2010-10-30. Retrieved 2015-05-03. ^ "Sheff out as CSN coach and athletic director | Las Vegas Review-Journal". Lvrj.com. 2010-11-03. Retrieved 2015-05-03. ^ "New CSN coach Garritano begins cleanup assignment | Las Vegas Review-Journal". Lvrj.com. 2010-11-10. Retrieved 2015-05-03. ^ "Scenic West Athletic Conference - CSN hires Perreira as head softball coach". Scenicwestsports.com. Retrieved 2015-05-03. ^ "CSN Baseball". CSN. CSN. Archived from the original on 23 September 2015. Retrieved 28 August 2015. ^ "See how the Rock rolls, and Ryback gets back". Las Vegas Review Journal. Retrieved 2013-10-25. ^ Lochhead, Colton (July 18, 2018). "Heller ad claim against Rosen prompts new disclosure of degree". Las Vegas Review-Journal. Retrieved July 18, 2018.